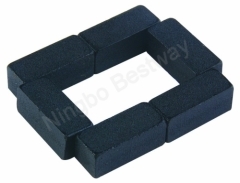 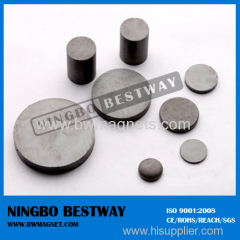 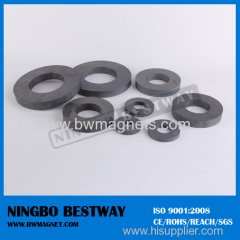 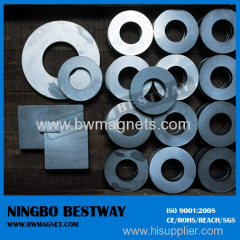 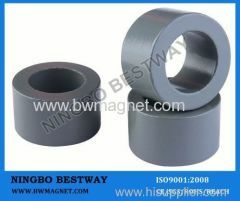 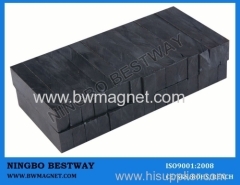 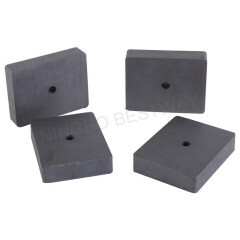 Permanent Ferrite Magnets are made of hard ferrites, which have a high coercivity and high remanence after magnetization. 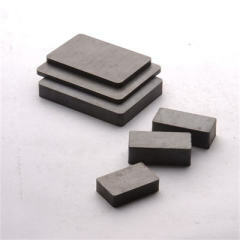 These are composed of iron and barium or strontium oxides. 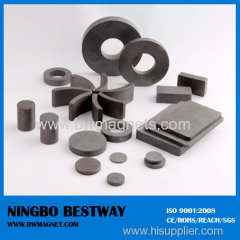 The high coercivity means the materials are very resistant to becoming demagnetized, an essential characteristic for a permanent magnet. 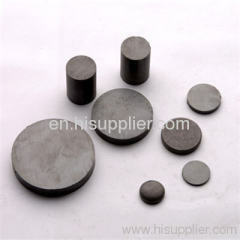 They also conduct magnetic flux well and have a high magnetic permeability. 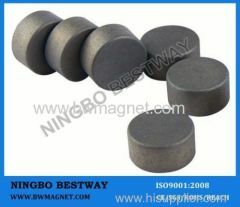 They are cheap, and are widely used in household products such as refrigerator magnets.